Spring Flowers Sticker Charts: Spring Into Learning With These Unique Flower Templates! 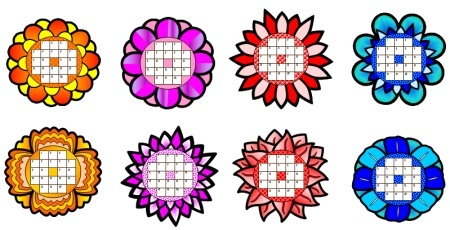 Flower Sticker Chart Templates is provided below. 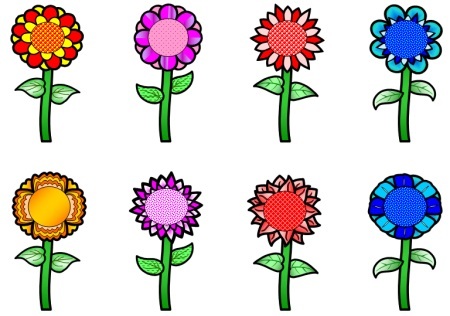 Flower Sticker Charts: These flower shaped sticker chart templates will motivate your students to bloom this spring and achieve a goal that you set for them. 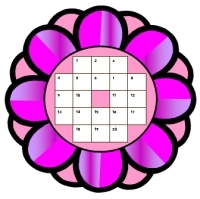 There are 20 boxes for you to place stickers inside on these flower templates. You can use these incentive charts for any goal that you choose. 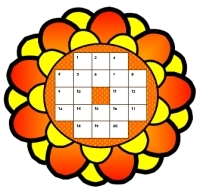 Your students will be motivated to reach the target of getting 20 stickers on these flower shaped sticker charts. These flower sticker chart templates provide you with everything that you need to encourage your students to reach the target of 20 that you set for them. 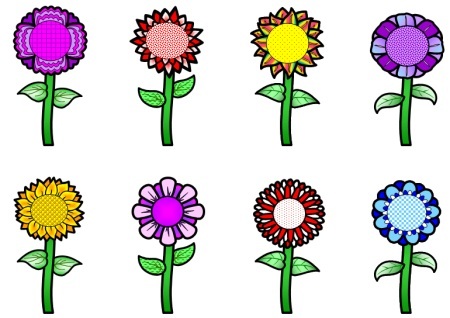 You could use these flower sticker chart templates for a variety of different purposes: homework, behavior, class work, good citizenship, math, spelling, or reading. 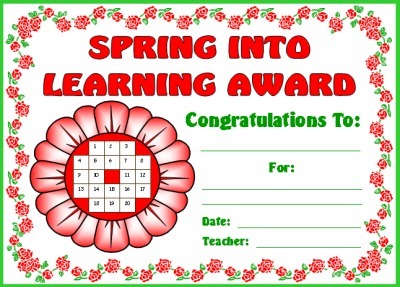 Students will enjoy taking their completed spring flowers sticker charts home with them when they have reached their goals and sharing this achievement with their parents. The parents of your students will appreciate the extra effort that you have put into positively reinforcing your students to work hard in your classroom. If you are looking for a dynamic, bright, and colorful spring bulletin board display idea, these flower sticker charts are a blooming great resource! These spring flowers sticker charts measure 6.5 inches in width and 6.5 inches in height, including the leaves and stems, the height of these flower templates is 12 inches. I like to print out the color templates, and I make a class set using a variety of the different shaped and color flower templates. I give each student a stem and have them write their names inside the stem. Then, I glue a flower template on top of each stem and laminate these sticker charts. By doing this, later when I take each student's sticker chart off of my bulletin board, the chart does not accidentally rip. Parents are impressed when I send home these colored laminated sticker chart templates when they are completed so that my students can display them in their bedroom, or on the refrigerator, as a sign of their achievement. I realize that not all teachers are able to print out color templates for each of their students, so I have provided eight different shaped black and white templates of these spring flowers sticker charts. 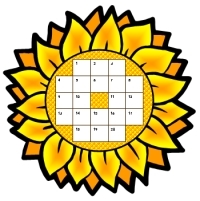 You can have your students color their spring flowers sticker charts themselves using the black and white templates. 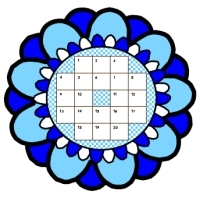 There are 12 different shaped flower templates. 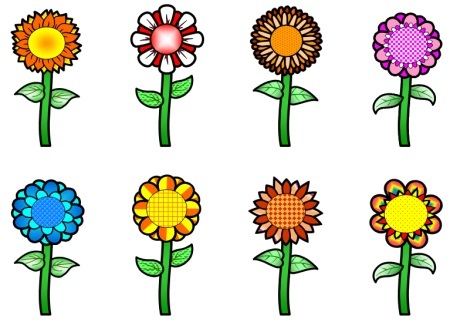 Below are examples of the first 4 flower sticker chart templates.. These 12 templates also come in a black and white version. Below are examples of the other 8 spring flowers stickers charts. I wanted each of my students' spring flowers sticker charts to have a different shape and color, so that my bulletin board display of these charts would be an array of bright spring colors. 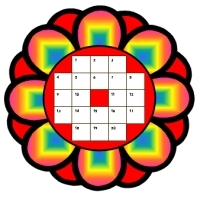 Using the 12 previous flower shapes above, I created 18 additional flower sticker charts, but changed the color schemes in them so that I had 30 different flower sticker charts to select from. Below are the additional 18 sticker chart templates that I have included in this set of teaching resources. This set includes stems with leaves on them. Students write their names on the stem. and glue their flower onto the stem. 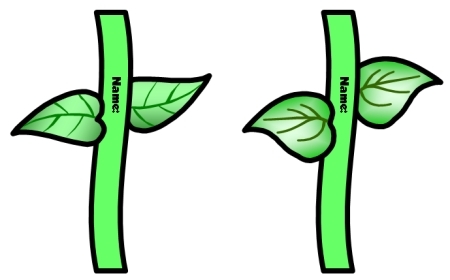 There are 4 different shaped leaf and stem templates (two are shown below), and these come in both the color and black and white templates. These spring flowers sticker charts are a wonderful way to positively reinforce your students for making progress towards their goal. If you want to take this a step further and recognize your students' accomplishments of achieving the goal that you have set for them, I have designed a matching student award certificate. 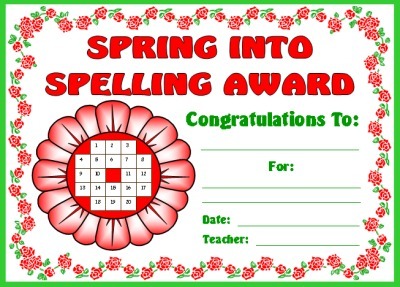 Your students will be excited to take their completed spring flowers sticker charts home with them, along with their matching achievement award. 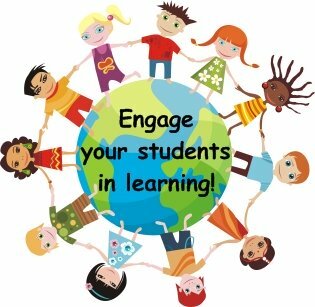 Their parents will be impressed with the extra effort that you have put forth in positively reinforcing and encouraging your students to reach a goal that you have set for them. 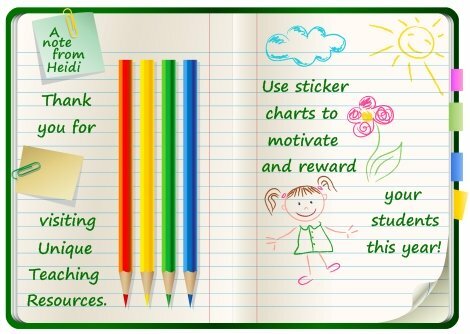 This sticker charts set includes 8 different student awards for you to choose from. If you have access to a laminating machine, you can laminate your banner so that it is durable and you can use it year after year for your bulletin board display of these Spring Flowers Sticker Charts. 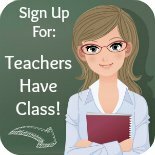 This set of teaching resources includes 8 different bulletin board banners for you to choose from. Spring Into Action: Our Sticker Charts are Blooming! Spring Into Spelling: Our Sticker Charts are Blooming! Spring Into Math: Our Sticker Charts are Blooming! Spring Into Science: Our Sticker Charts are Blooming! Spring Into Homework: Our Sticker Charts are Blooming! To help you decorate your bulletin board with a spring theme, I have provided 24 flower accent pieces for you to use in preparing your bulletin board display. Each flower is on a separate piece of paper and measures 4.5 inches in width and 9 inches in height. accent pieces for other displays throughout the school year. banners, awards, and accent pieces below. 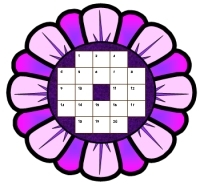 Thank you for visiting my Spring Flowers Sticker Charts page.